Put your questions here in this thread. Keep those hundreds of questions that Richard already answered on his tumblr in mind. Also, he's already done a Q & A for The Penguin, along with countless interviews over the years. So, he and Stacy will probably be more inclined to answer questions that haven't been posed before. Thanks for creating this thread. What Fleetwood Mac song did you have the biggest impact on production? Was there a song that you threw out an idea or changed in production that the band and Lindsey went along with? If so, what was the song? Where in the world is the full Mirage tour footage? This is one of the biggest questions and mysteries of Fleetwood Mac fans. We are dying to see Hold Me performed live along with the other missing songs. I would like to know if Richard knows something about the band's pro-shot video footage from the 1977 Sydney and the 1980 Richfield shows who apparently got lost long ago. I also would like to know if there's hope for the other Fleetwood Mac footage to be released in full extent, particularly the 1977 Budokan show and the two Tusk documentary shows. Is there a chance we will ever get to see the footage of Fleetwood Mac's set from the 1982 US Festival? Also, as someone asked before me, where is the full uncut video that was filmed during their shows in LA from the Mirage tour? That is a highly coveted video for the die hard fans. Do you think there will ever be deluxe reissues of Mirage and Tango In The Night like we recently got for Tusk? Last edited by Wdm6789 : 03-12-2016 at 10:39 AM. Hi Richard! Thank you so much for doing this! With the tragic deaths of music legends Glenn Frey, David Bowie, Sir George Martin, Maurice White, and others - I was wondering if you met them. I'd imagine you met the Eagles, and if so, what were they like? Did you get star struck when meeting famous people? I am very confused about the Stevie/Lindsey relationship. I get the feeling they are really pretty close and care for each other very much. But in many articles they talk about their "issues" A few quotes from Mick and Christine say they don't like each other and basically act on stage. What is your take on the relationship. Thank you Richard. Love your blog and I'm glad your back. What was it like co-producing music with Lindsey? He's often been described as not really a "collaborator" but someone who likes to run the whole process by himself... yet you have co-produced at least 6 albums with him (Rumours, Tusk, Mirage, Tango, Law and Order, Out of the Cradle) along with work on other projects. Was that process a partnership of equals where you could forcefully make the case for your vision on something or did you have to tread more carefully if you differed from his vision? Did he always have the final word? Thanks! Last edited by bombaysaffires : 03-13-2016 at 02:58 PM. Could you clarify once and for all what the hell happened to Truth and Consequences? Did something in particular lead to you to pulling the plug? Hi Richard, thanks so much for paying us Ledgies a visit. I'm very interested in your co-writing credits with Lindsey, both with the Mac, and on Out Of The Cradle in particular. How did that usually work? Were they mostly collaborations that developed from experimentation in the studio, or did you ever come to him with a demo? Which of your co-writes are you proudest of, and can you ever envisage working with Lindsey again? Out of the Cradle is my favorite Lindsey album. The album had tremendously positive reviews. Lindsey was really on fire with creativity. What is your favorite song from Out of the Cradle and why? Were you aware at the time of the meaning of the "piggy in the middle" line? Tango sounds very much like a Lindsey solo album (I know it started out that way). Was there any concern in the band over this? The album is very 80's with programmed drums and sounds. Did the entire band embrace this sound or was it not even noticed since it was the 1980's? Last edited by Macfan4life : 03-15-2016 at 05:22 AM. 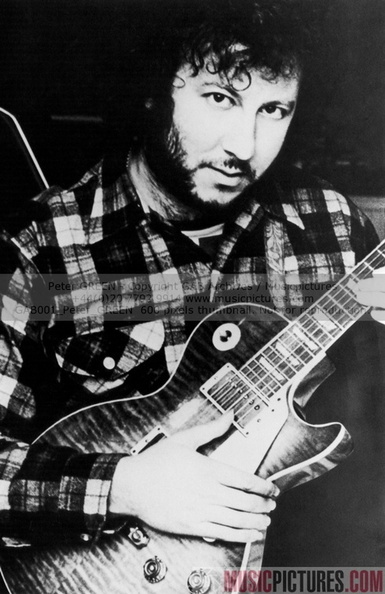 Regarding the recently released alternate take of "Brown eyes", where you involved with Peter Green recording his parts on the Tusk album? Do you have any recollection about the guitar that Peter used? Was it the 1960 Les Paul standard (mistaken as a '59 by Peter's Biographer) that Mick Fleetwood bought for him in 78/or 79? It was easily identifiable by the huge worn spot above the bass strings. Rumours was full of hit songs. Was it difficult to pick a first single? Because Lindsey did not have a single or hit record off the first album with the Mac, was that taken into consideration to give him the first single off Rumours? Who and how was this decided. You might not know the answer to this, but all the Fleetwood Mac members seem quite fixed with their live setlists. They seem to like to play "the standards" without mixing it up too much. Was this a concious decision at any point and is it a pretty universal agreement throughout the band? Were any of the members more open to shaking things up on tour a bit? Tusk has been called "quirky" and "unconventional". The songs are very creative and the 2 disc album is some of the band's best work. The track listing never gets talked about. To some of the fans, it is alleged that Lindsey purposely tracked the album in a random order so the album did not have routine flow. Is there any truth to this? Do you remember any debates on how the songs were tracked on Tusk?